It's the 2nd week of the Art Impressions Challenge "Vibrant Colours" and the Ai release of the New Flutters. I am playing with the "Cat Flutters" set. I love these Flutter sets and the interactive element they bring to your cards! 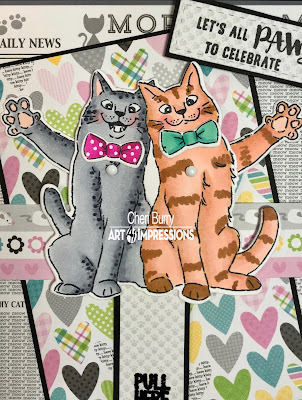 The Flutter sets come with the stamp, sentiment, dies, a few mini brads and instructions. 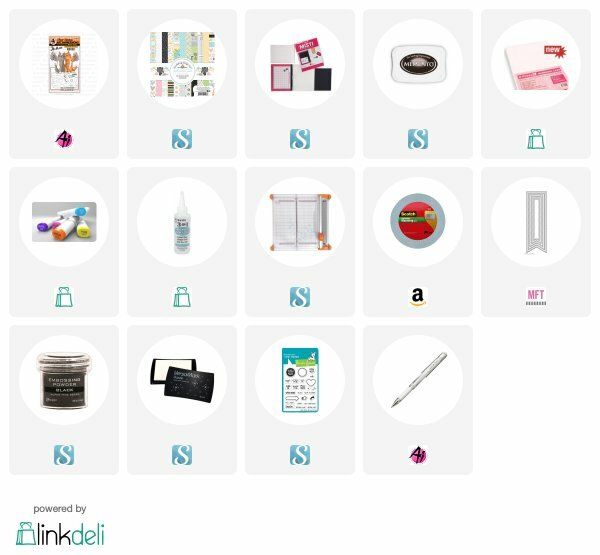 Everything you need to get you started making your own interactive card! 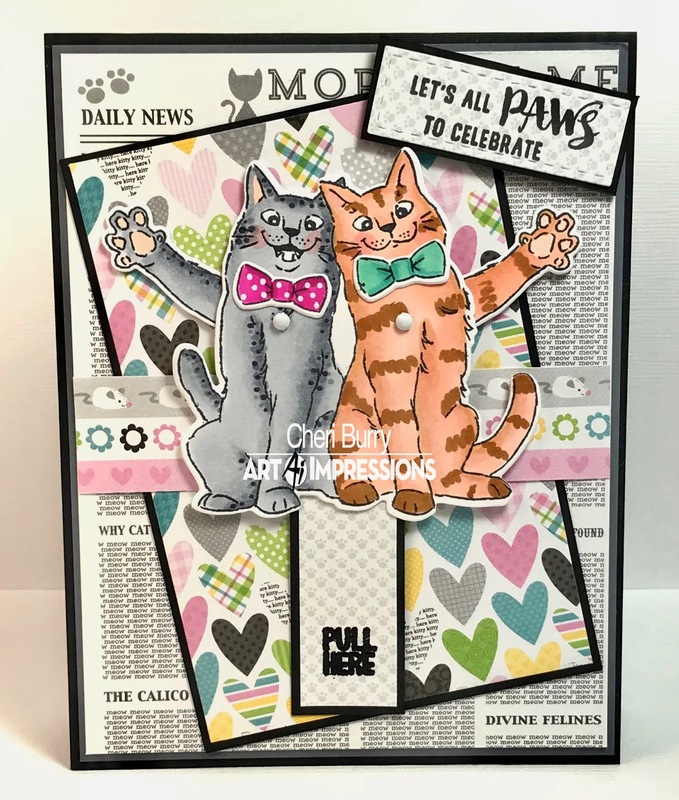 I chose papers from the Doodlebug Kitten Smitten collection. I mean seriously, perfect papers for this card! 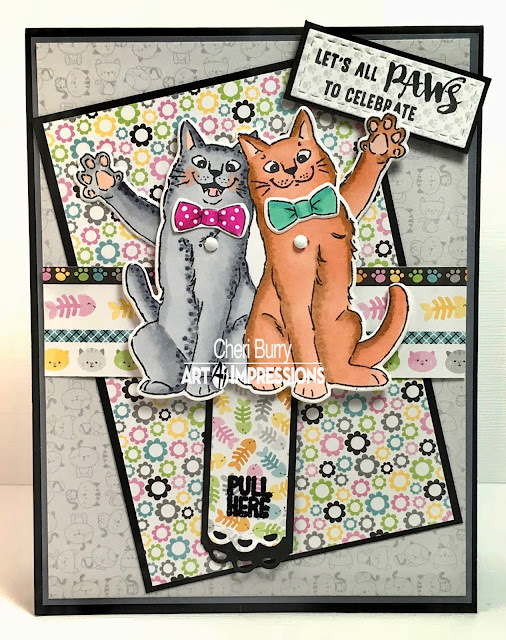 I added some polka dots to the cat's bow for a fun element! Here's a short clip of the cats in action! Pawsitively adorable!! Love the added polka dots and the interactive element! 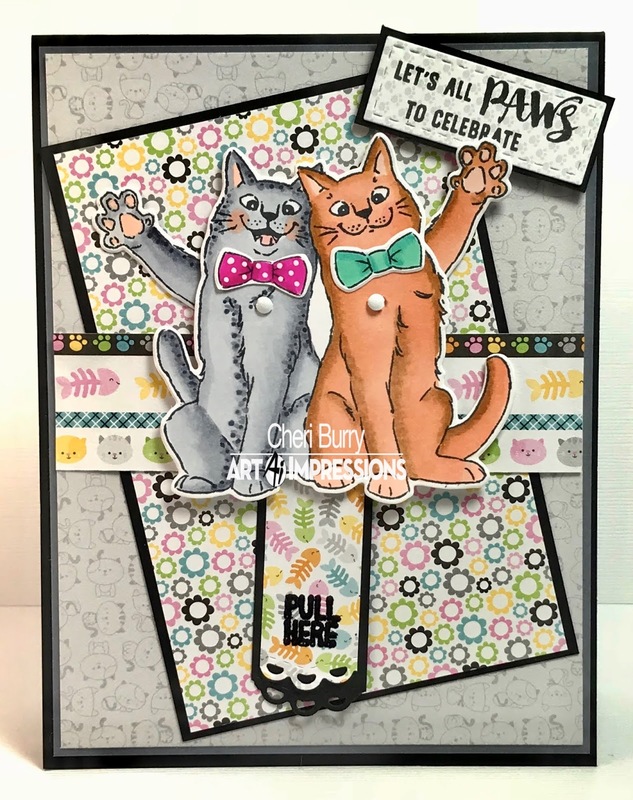 Fun and fabulous card that's purrfection!